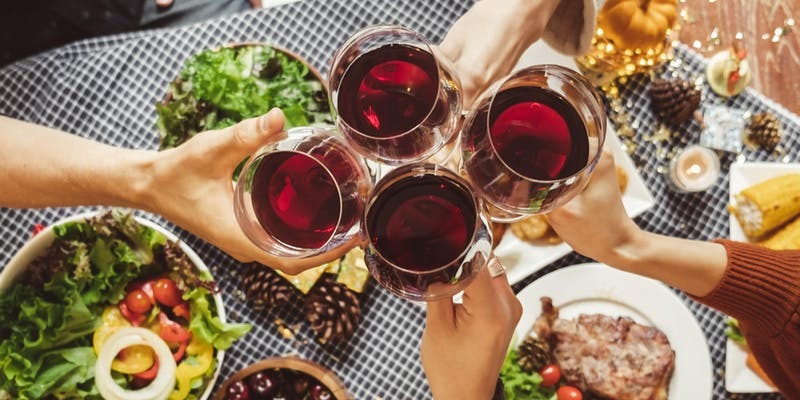 Join us at Bin 526 with Advanced Sommelier Patrick Emerson as he tastes participants through a wide range of wines well suited to a Thanksgiving feast. Wines will include a special, no longer produced, riesling from Oregon and a small production Cru level Beaujolais from Fleurie. Whites, rosés, and reds will be included to cover the full spectrum of what's possible for the ultimate meal of the year! Small cheese and charcuterie boards will be served, as well as crackers and baguettes. Patrick Emerson, Advanced Sommelier, (Court of Master Sommeliers) most recently launched a wine distribution company in South Carolina called“Curated Selections”. He specializes in small, family-estate fine wines from around the world with a commitment to sustainability and the highest quality. His wines are represented in fine dining restaurants, top independent retail accounts and hotels throughout South Carolina. Patrick’s commitment to high standards and wine education is confirmed by the fact that all Curated Selections employees carry the distinction of being a minimum Certified Sommelier, including his delivery drivers and warehouse team. Patrick is also the founder of Communion Wine Club LLC., a wine and beverage consultancy for new and existing restaurants, bars, wineries and hotels nationwide. As a consultant, Patrick assists on and off-premise accounts on a project-to-project basis. He specializes in worldwide wine selections, handcrafted cocktail mixology, the creation of ongoing staff training programs and menu design. He also works with multiple corporate clients and private collectors. Patrick also served as the beverage director for Charleston’s prestigious Wine and Food festival for their 10 th anniversary (2015). He was responsible for recruiting international talent and designing programming for over 100 events. Since moving to Charleston, South Carolina, rated “the #1 tourist destination in the world” by Conde Nast Traveler, Patrick has established himself in the regional market as a leading sommelier and wine director in the restaurant wine scene. From 2004-2012, Patrick worked in Charleston as the wine and beverage director for four successful restaurants, High Cotton (and its sister restaurant in Greenville), Slightly North of Broad, and The Old Village Post House. His responsibilities included all staff wine training, teaching wine classes for the public, wine and cocktail list development and hosting special events. In November 2012, Patrick was voted as the top sommelier in Charleston by national and regional critics, and was honored at the highly acclaimed “Ultimate Critics Dinner”. In addition to wine, his skill at cocktail mixology has won him praise in many publications, including GQ Magazine (winner of the Bombay Sapphire Challenge), Southern Living, Food and Wine Magazine (Best cocktails), Local Palate, Charleston Magazine, City Paper and the Post and Courier. His restaurant wine lists have been awarded 28 Wine Spectator “Award of Excellence”. Patrick has attained his Advanced Sommelier (AS) certification with the Court of Master Sommeliers and is a Certified Specialist of Wine (CWS). He is also a founding member of the Charleston chapter of the US Bartenders’ Guild. A native of England, Patrick was a recipient of the prestigious Morehead scholarship to the University of North Carolina at Chapel Hill. He graduated with a Highest Honors degree in Speech Communications and Dramatic Arts.